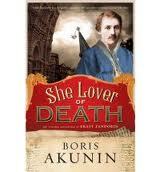 In the eighth installment of the Erast Fandorin series, She Lover of Death , the author changes his usual narrative style to tell this story via several different points of view. A young girl's journal, newspapers, the reports of an undercover agent, and even poetry all come together to weave a somewhat bizarre tale of a suicide club in Moscow. While suicide clubs are definitely not a new phenomenon in the rest of Europe, in Moscow they have been previously unheard of until now, at the dawn of the new century. She Lover of Death tells the story of a young woman from the provinces and how she came to be mixed up in such a group. It explores the burgeoning society of "decadents" arising around this time period, often delving into the influences of Russian poets such as Lermontov or Pushkin on sensitive psyches, especially those wondering about Russia's fate in this new century. Of course, there's a mystery element to it as well, one involving our illustrious hero and his ever-faithful servant Masa. A young girl arrives in Moscow from Irkutsk, drawn there by a young man named Petya she had met previously while he had visited relatives in the provinces. Marya Marinova (nicknamed Masha) had been truly captivated by this young man she called Harlequin, who "cast a spell on her with the halo of fiery-red curls scattering across his shoulder, his loose-fitting blouse and intoxicating poems." Masha, who saw life as "an empty, stupid joke," was also captivated by Harlequin's comment about the only true beauty being in dying. Upon her arrival in Moscow, she changes everything about herself, including her name, rechristening herself simply as Columbine. When she catches up with Petya, he introduces her to a secret society of poets, brought together not only by their art, but with their fascination with death. The group is called The Lovers of Death; it is within the confines of this group that Death speaks through previous members (now dead by their own hands) via a medium to pick its next victim. The chosen ones must wait for three signs of confirmation before making their way to their rendezvous with Death. The head of this group is an strange character named Prospero, aka The Doge, and the club attracts the attention of a reporter who manages to infiltrate the group, unbeknownst to the others. It also attracts the attention of a strange man with dark hair which is graying at the temples, a person the group knows only as Prince Genji. But you guessed it -- Prince Genji is none other than Erast Fandorin, who believes that there is something more sinister lurking under the surface. The various points of view work well in this novel, making the reader work a little bit harder to suss out what's really going on here. Since Akunin's regular readers are already quite familiar with Erast Petrovich by this time, the author mixes things up so that the reins of the story are given over to others actually involved in this odd tale, choosing to focus instead on accounts written by those smack in the middle of all of the action. What you end up with instead of more of a textured account of events that flesh out the rest of the story, rather than simply a linear mystery going from point a to point z. While Columbine's character is representative of one of these new "decadents" appearing in Moscow society around this time, sometimes it's a bit over the top, while at other times you can't help but feel sorry for this poor naive and very impressionable girl fresh from the provinces. There is a bit of a supernatural feel to this book at times, making for a bit of fun and chills to the spine here and there, but luckily this is limited and doesn't consume the entire plotline. She Lover of Death is another trademark installment in the series -- it's a great deal of fun to read and it offers a realistic sense of place and time owing to the author's research and knowledge of the period. And as usual, it exceeds the boundaries of the regular conventional mystery novel with its characters' actions, especially those of the erstwhile Fandorin. As I've noted before, I don't really read these novels for their mystery component -- they're much more adventurous than a standard mystery story. 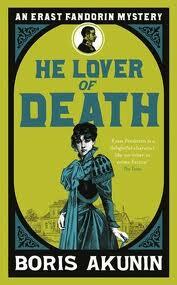 And I can't help it -- I've been a huge Fandorin fan since the publication in English of Akunin's first novel. I can definitely recommend She Lover of Death, both to followers of Akunin's Fandorin series, and to readers of historical crime fiction. 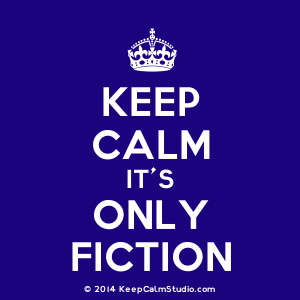 I'm a stickler for following a series in publication order, and you could probably read this one without having read any of the earlier books. On the other hand, you wouldn't have all of the necessary nuances of Fandorin's character that make this series so much fun under your belt. Overall, a fun read, one I had a great time with. And now we've come to number nine in the Fandorin series. This time the story is told in a third-person narrative, as seen through the eyes and experiences of a member of Moscow's criminal underworld, Senka Spirodov. And FYI, whoever wrote the blurb for the dustjacket cover put his name as Skorikov. I noticed that on Amazon UK, one reviewer repeated that name ... is it just my copy that has him as Spirodov? The action takes place at the same time as Fandorin's involvement in the suicide club investigation from She Lover of Death, and involves another young person infatuated with Death. However, in Senka's case, Death is the nickname of a living person, a beautiful young woman whose lovers all ended up dying -- not by her hand, but from different causes. After a while Death gained a reputation, leaving people who walked by her to cross themselves or to spit over their shoulders. Now she lives in the Khitrovka district of Moscow, where decent people don't venture and where the criminal organizations are pitted against each other in a struggle for control. Senka ended up here after family circumstances left him orphaned and with an uncle who used him for free labor and other abuses; a desire to do a good deed ultimately got him into trouble and he had to run away. Where better than Khitrovka, where no one would dare come to find him? It is there where he becomes infatuated with the woman called Death, whose intervention sends him into the employ of The Prince, the leader of one of the two top crime organizations in the area, and a lover of Death as well. On an errand of mercy for Death, Senka discovers the location of a treasure buried in the labyrinthine tunnels underneath the city -- and realizes that he has a ticket out of the criminal life. 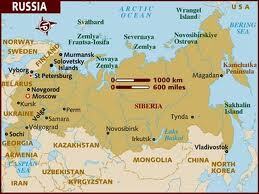 However, others who inhabit Khitrovka are not so lucky -- there are a series of ghastly murders occurring there. Enter Erast Fandorin, who must get to the bottom of these horrible crimes, and who knows that Death is the key to uncovering the truth. He Lover of Death is much more of an adventure story than a mystery, although there is plenty of crime and a growing list of suspects as the novel progresses. There might possibly be more humor in this installment than in the others preceding it, as Fandorin and Senka team up for some crazy adventures and Senka is roped into helping to solve the crimes. Quite a bit of time is given over to Senka's character and his changing life before Fandorin actually gets involved. The reason: he's been very busy with events from She Lover of Death, and now and then the author references some of that story in this one. It's a fun read that will keep you turning pages, not so much for the mystery but to find out what's going to happen to Senka next. It's almost like a rags-to-riches story where the hero finds himself in one desperate plight after another, but with the added interjection of humorous situations that you just know Akunin had a great time inventing. Again, my suggestion is to read these books in order, but you can get by with this one as a standalone if you don't want to go back and read the books that came before. This one may be the most fun book in the series -- less mystery really, but all the same, a good time will be had by all who poke their noses into this novel.